Sending everyone calm, balancing light after a somewhat energetically wild week. We are in a GO Creation window for two weeks- one of those zones where aligned manifestation is easier. Hearts up to move forward with your creations which support New Earth dynamics. Note: This is not the busy-ness of the 3D past. We are in productive flow energies; the get-on-this intuitive and creative windows. Best to take advantage of it before the last of these triad waves arrives mid-April. You know what needs to be done, aligned, purged or manifested for your higher trajectory. The Universe rewards heart-based forward momentum. The April wave is focused on Embodiment of 5D consciousness, which is radically different than the feeling-good connected level of the past. A strong activation of Gaia’s core, the next level of the crystalline grid, and the ancient Inner Earth structures are set to unlock end of April. Our April 27 Sedona gathering is Divinely timed to synch with this activation. You know what happens when High Vibe Reps come together. Kindwhile, integration from the pre-Equinox/Equinox wave is complete, but not stabilized just yet. Join us for the SUNday Global Unity Meditations to assist with collective anxieties and fears that have been bubbling up due to the new light levels. This is what all the emotional, mental, physical and spiritual preparation was for, Beloveds. Wayshowing is both a private and public activity, as there are no veils any longer, except for the ones we create. 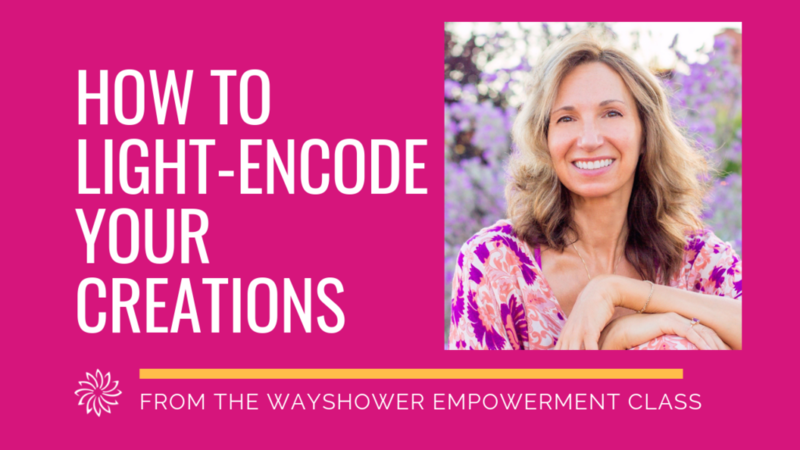 To support all of our Wayshowers right now, I released another clip from the Wayshower Empowerment class; How to Light Encode Your Creations. If this content resonates, consider taking the full class. It has already launched many new services and upgraded existing ones. For me, learning something new is a great way to deal with the energies and keep me on my highest trajectory. Access the video in this post. Suddenly, it’s that Now! I AM departing for Sedona soon. You know that feeling you get when you are about to revisit your Gates and open the next level of crystalline templates? That’s where I AM as I write this. HUge expansion, and the mountain is loading me and my crystals with codes to share. Divine Perfection always allows for miracles when we trust our Higher Selves, and this week I AM overflowing with gratitude at the cosmic timing of these events, travels and the beautiful Souls called to participate. – Transparency: We have 30 seats left for April 27. Marketing in Sedona begins next week. Please book your seat soon. Also grab a hotel/airbnb room: I feel many will be called to Grid work for Easter week and that last wave, and Sedona is one of the hot spots for this activation. 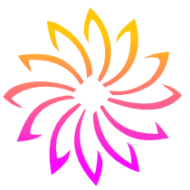 – The Sedona event community Board is LIVE and active! Connect with attendees for introductions, housing, day trips, side events and unified Gridwork. Access it after ticket purchase in the event details. – Private Sessions will return in May. – The Exploring Mastery group call is Tuesday, April 23rd. Is it weird that I AM just as excited about our gift bags and rainbow lunch as I AM about my presentations? We have space for a few more items in the bags. Please see the details page and contact me this week. Sending Infinite LoveLight to all in this Now. This is a powerful, brand new energy level.